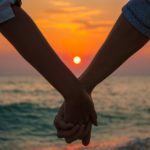 When my ex-husband and I were divorcing, after 17 years together, I kept thinking, “How can two people who love each other, who have good intentions and good communication skills, still manage to disappoint each other so painfully? Until recently I was asking myself that question in my second marriage as well. I realized I needed help. I sought advice from a colleague, did some reading to uncover my problem and used EFT to begin solving it. It turns out the first thing I needed to do was challenge a lot of my own assumptions. Here is a bit of what I discovered. We all go into marriage with our own set of unspoken assumptions about what we will receive from our spouse. These are assumptions, not agreements, so our partner has never promised to provide these things. Our partner, of course, has their own assumptions about what we will give which we never agreed to! Sounds like a set-up for disappointment, doesn’t it? I assumed that we would eat dinners together and spend weekends relaxing together. I thought, “That’s what married couples do.” This was pure assumption. He had never agreed to it. In fact, we had never even discussed it. Also, his job is far more demanding than mine so he had less time for me. And his personality far more introverted than mine, so he needed less time with me. Due to my assumption I felt entitled to dinners and weekends with my husband. When I feel entitled I expect to get what I want and get myself very disappointed when the desire goes unmet. When I feel entitled I am more likely to be demanding. When I am being demanding my husband does not enjoy dinners and weekends with me. See my dilemma? 1) I made a list of the assumptions and demands that I was making in the relationship. You will know you are making a demand if the only “right” answer that your partner can give is “yes”. If you are making a true request then you are prepared to gracefully accept a “yes” or a “no”. 2) I wrote next to each one the feelings associated with not getting those desires met and gave it a number from 1-10 indicating how bad it felt. For example: I assumed that we would spend most weekends relaxing together – Disappointed 8, Sad 8, and Angry 9. 3) I used EFT to uncover and release the pain behind these unmet wants, to own the assumptions fully, and to become less demanding. I say “less” because I am still (and probably always will be) a work in progress! Now when my husband is busy I take it less personally, so it is less painful. I can be more flexible, more patient. When I request time together, without demands, he responds more lovingly. There is more sweetness between us. So, if you would like to improve your relationship consider taking full responsibility for your part of the dynamic and doing some work on it. Perhaps examine your assumptions and heal the pain beneath them. Contact me if you would like to learn more about EFT, therapy or couples counseling. Click here to download audio instructions on how to use the transformative power of EFT at home, as I did. Anxiety affects more children and teens than ever before and it can leave parents feeling helpless to know how to help. Often we want to reassure our children that everything will be fine, soothe the anxiety by allowing them to avoid worry provoking situations, or tell them that they are overreacting. Each of these approaches can backfire, however. 2) Help your child to notice the anxiety, where they feel it in their body, what thoughts and self-talk go along with it. Is it like butterflies in the stomach? Do they tell themselves terrible stories about what could happen? Turn the anxiety into a character, outside of themselves. Perhaps an annoying mosquito or a belligerent bully. Then have them imagine swatting the mosquito or telling the bully off. Tell them stories about when you are were anxious and how you managed the anxiety. Teach them how to release anxiety out of their bodies with cutting edge techniques such as EFT tapping. Require that they do more things for themselves, learn to tolerate frustrations and challenges, build competence and confidence. Avoid over-protecting and over-parenting as this increases childhood anxiety. 4) One of the most important things we can do to help our children with anxiety is to learn how to heal our own. We unintentionally and unconsciously pass on to our children the effects of our own unhealed traumas and fears. 5) Contact me for a consultation to learn EFT or for more information on how to help your child. Or download my EFT at home instructional recording.